Aluminum Calderas 13QT - A caldera is the traditional cooking pot used for cooking rice and other foods in Hispanic cosine. Our 'authentic' cast-aluminum calderas are a must-have for Hispanic households that want to keep traditions. They are durable and long lasting and are excellent heat conductors, meaning cooking is more efficient and less costly. 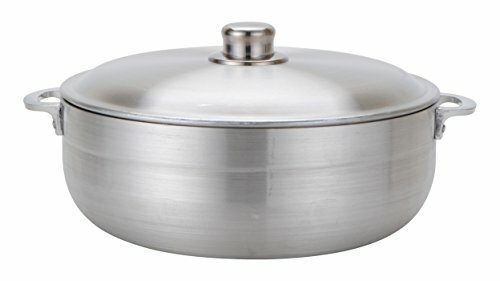 The perfectly crafted lids seal in heat and steam, keeping your meats, rice and stews moist while cooking to perfection and the knobs are cool to the touch. Also known as "Dutch Ovens", the versatility of this cookware is endless, they can go directly into the oven! It is quite a simple but perfect product and makes a great gift. If you have any questions about this product by Aramco, contact us by completing and submitting the form below. If you are looking for a specif part number, please include it with your message.